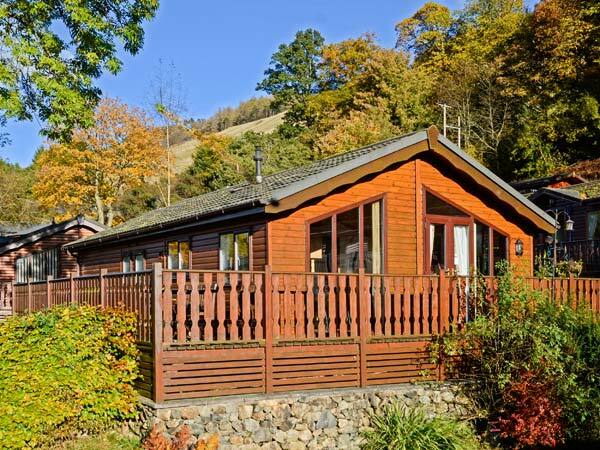 Bluebell Lodge is a wonderful, detached lodge on the Limefitt Holiday Park near Troutbeck Bridge, in the Lake District. The property has three bedrooms, a king-size double with an en-suite, plus two twin rooms, one of which has two 2'6" single beds. There is also a family bathroom and an open plan living area with a kitchen, a dining area and a sitting area with French doors opening onto the decking. The decked patio has furniture and beautiful views stretching to Wanfell, so you can sit out in the summer and enjoy alfresco dining with a stunning backdrop. There is also off road parking for two cars and a short walk to the on-site shop and pub, serving food and ale. 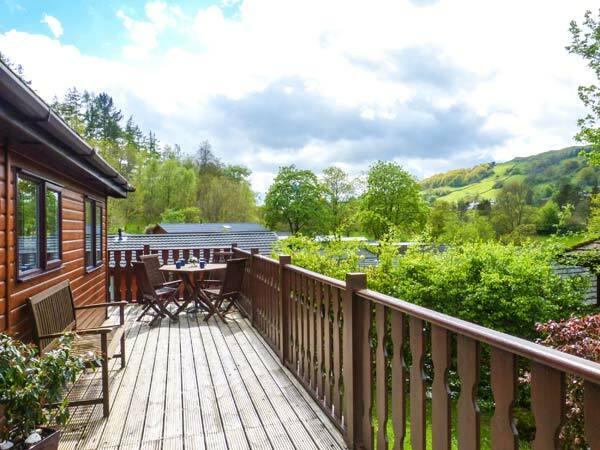 A great family holiday base, with some wonderful family-friendly on-site facilities, Bluebell Lodge is perfect for uncovering the delights of the Lakes. Gas central heating with electric fire. Gas oven and hob, microwave, fridge, freezer, dishwasher, TV with Freeview, DVD, iPod dock, WiFi, selection of books, games and DVDs. Fuel and power inc. in rent. Bed linen and towels inc. in rent. Travel cot and highchair. Off road parking for 2 cars. Enclosed decking to front and side with furniture. Shared use of on-site outdoor games area and children's play area, laundry facilities and pony trekking at additional charge. Sorry, no pets and no smoking. On-site shop and pub 5 mins walk. Note: Property accessed via four external steps. Note: There are additional charges for use of some on-site leisure facilities. Note: No stag/hen or similar. We also have details of 99 other similar properties nearby which might suit you.